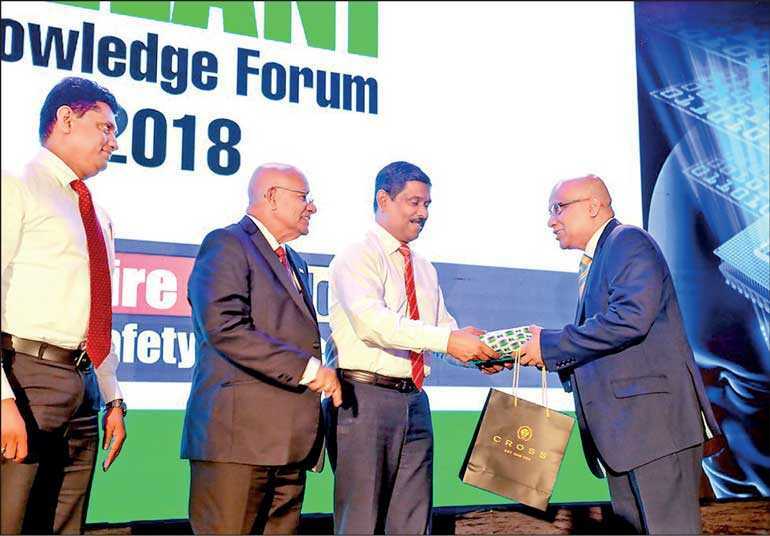 Kelani Cables PLC, Sri Lanka’s number one brand in secure electrical and communication cables, held its annual scholarly conversation forum Kelani Knowledge Forum 2019 recently at Water’s Edge, Battaramulla. The keynote address was made by one of Sri Lanka’s top marketing experts,Ambeon Group Managing Director/CEO Murali Prakash. Taking his own experiences as examples, Prakash made an insightful and meaningful speech on the volatile situation of the current business world, and the reasons contributing towards that scenario. His insightful speech revolved around life and business. The forum, held for the seventh time by Kelani Cables,brought together over 250 engineers, project managers, and company owners in the local engineering and construction fields. Latest trends in the world business arena and forecasted future challenges werediscussed at the forum. Kelani Cables is the only electrical cables and accessories manufacturer organising a forum of this nature, to communicate the latest trends and future challenges to the local engineering and construction fields. Kelani Cables is a one hundred percent Sri Lankan company serving the nation for 50 years manufacturing electrical and communication cables. The company achieved “Super Brands” status in the electrical and telecommunication sector in 2008 for professional supremacy it demonstrated in the electrical and communication cables sphere. The company is ISO 9001and ISO 14001 certified. In 2017, Kelani Cables won World Class Global Performance Excellence Awards, and the company won the Gold Award for B2B Brand of the year at the SLIM Brand Excellence Awards in 2012, 2013, 2016, and 2017, as well as the CNCI Industrial Excellence Award consecutively for 3 years from 2006 to 2008, and for this achievement was recognised with CNCI Industrial Excellence Crystal Award in 2008. The company clinched the Taiki Akimoto 5S Gold award in 2007, National Safety Gold Award in 2010, SLIM Brand Excellence 2013 Gold award in B2B category, and SLITAD People Development Gold award in 2013. In 2015 and 2016, Kelani Cables was awarded Asia’s Best Employer Brand Award. The company won Best Green Reporter Gold Award at the 2016 Presidential Environmental Awards, and 2016 National HR Excellence Silver award. Kelani Cables was awarded the prestigious National Quality Award in 2016 for the company’s sustained business excellence. Kelani Cables is one of the first companies in Sri Lanka that is signatory to National Green Reporting System. Owing to its health and safety oriented culture and environmental stewardship, Kelani Cables PLC has been certified globally recognised ‘Responsible Care’ charter.